Amerock's wide variety of finishes, styles and sizes for all decorating tastes is the inspiration for the beautiful designs. Showcasing decorative hardware solutions that inspire, coordinate throughout the home and express personal style, Amerock Decorative Hardware is the perfect finishing touch for all rooms around the home. 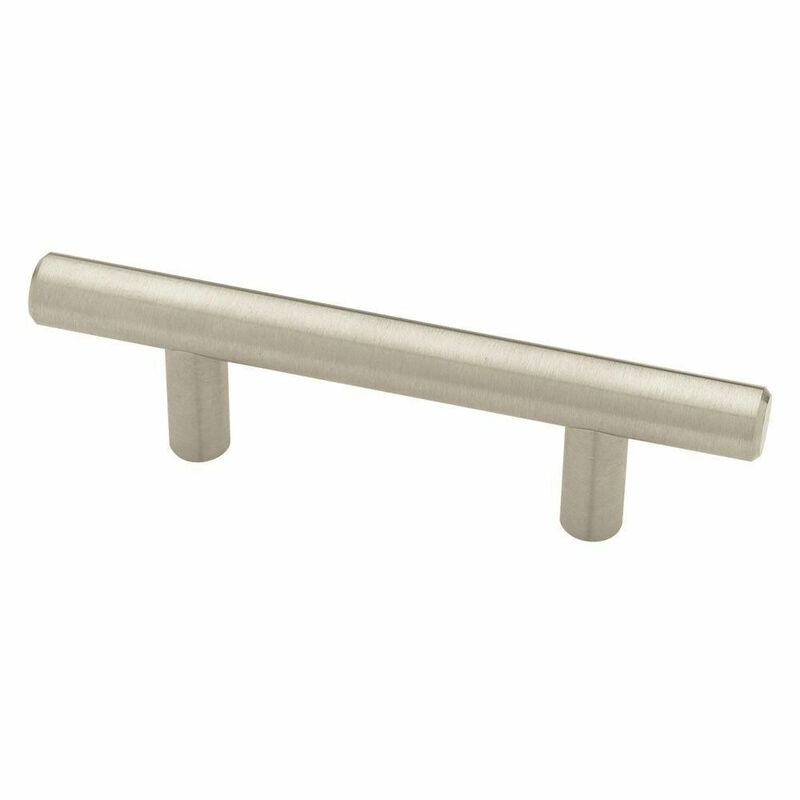 The Amerock BP19015SS Bar Pulls 16-3/8in(416mm) CTC Pull is finished in Stainless Steel. Modern functionality meets straightforward styling. Simple. Bold. True. The sleek and sophisticated design of the Bar Pulls Collection makes a statement with clean lines and smooth textures. Stainless Steels resistance to corrosion and staining, low maintenance and familiarlustermake it an ideal material for many applications. The Amerock BP19016SS Bar Pulls 18-7/8in(480mm) CTC Pull is finished in Stainless Steel. Modern functionality meets straightforward styling. Simple. Bold. True. The sleek and sophisticated design of the Bar Pulls Collection makes a statement with clean lines and smooth textures. Stainless Steels resistance to corrosion and staining, low maintenance and familiarlustermake it an ideal material for many applications. 64/115mm Steel Bar Pull is rated 4.9 out of 5 by 33. Rated 4 out of 5 by HomeDepotCustomer from Like the look these handles give to our kitchen. Very... Like the look these handles give to our kitchen. Very modern look. Rated 5 out of 5 by Reg from Awesome product! Nice quality! ... Awesome product! Nice quality! Rated 5 out of 5 by Smithfield from The finish is beautiful, though they are slightly shinier than the photo shows. They are solid a... The finish is beautiful, though they are slightly shinier than the photo shows. They are solid and heavy; not at all cheap looking or feeling. Rated 5 out of 5 by CS from Heavy duty, not the cheap ones that feel plasticky. Heavy duty, not the cheap ones that feel plasticky. Rated 5 out of 5 by Christine from As advertised. Pretty. ... As advertised. Pretty. Rated 5 out of 5 by Carol from Neat appearance, easy to clean, looks great. Neat appearance, easy to clean, looks great.